Some patients battling eating disorders have paid thousands of dollars or have gone without treatment because of loopholes that have allowed insurance companies to deny coverage. The bill that State Senator David Pearce (R-Warrenburg) is most proud of getting passed is one that requires insurance companies to cover mental health treatments associated with eating disorders. Lawmakers received strong opposition from some insurance companies early on. After seven years of work, the measure passed in 2015. Governor Jay Nixon (D) signed the bill. “It took a long time to get that passed, but I think we are going to save lives and also improve the quality of lives,” says Pearce. He says some of the insurance requirements begin in January. Due to term limits, Pearce is serving his final year in the State Senate. 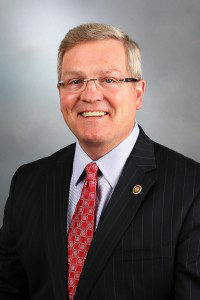 Pearce has served eight years in the Senate and six years in the House. He’s eligible to serve one more term in the house. Pearce says he’s undecided about his future plans but won’t rule out having his name on the ballot again.